Eleanor & Park - Hayley's Thoughts. This was the first book I had read by Rainbow Rowell and the writing style was just very gripping and fast paced. 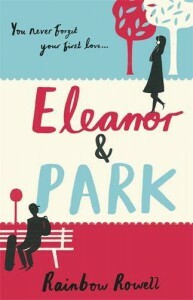 The development between Eleanor and Park was wonderful it didn't feel rushed and, truth be told, felt realistic. The only real problem I had was I expected the ending to be more shocking, reading other reviews of the book I thought there'd be a massive bombshell type ending.